Odion Ighalo and Victor Moses celebrate . 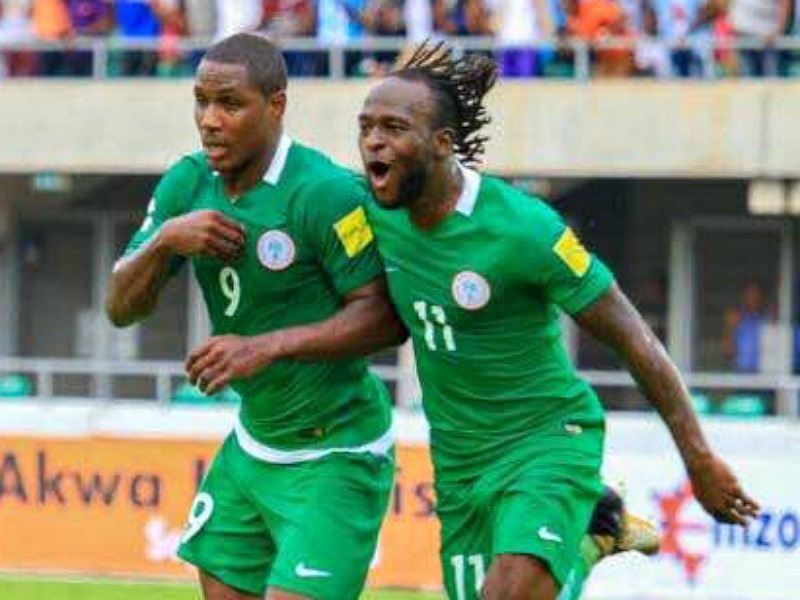 Super Eagles star, Victor Moses has reacted to the Russia 2018 World Cup draw that has pitched Nigeria again with Argentina, Iceland and Croatia. The Super Eagles will be starting against Croatia before they take on Iceland and end up with the two-time world champions, Argentina. ''We keep getting Argentina for some reason. We don’t want to play against Messi, but it is what it is. We’ve got to go and play our football and see what happens,'' Moses was quoted as saying by Mirror UK. ''After what Iceland did last year [beating England in the last 16 of the Euros], football nowadays, there’s no easy game. The 26-year-old Moses has World Cup experience under his belt as he was a member of the Super Eagles squad at Brazil 2014, where he played two games against Iran and France.